The ultimate convenience creator is available in these personalized sticky note holders! Everyone is always looking for sticky notes, now you can keep them in their place using your very own personalized note holder. Personalize this post It note holder with a favorite photo, design, or saying to dress up your day! 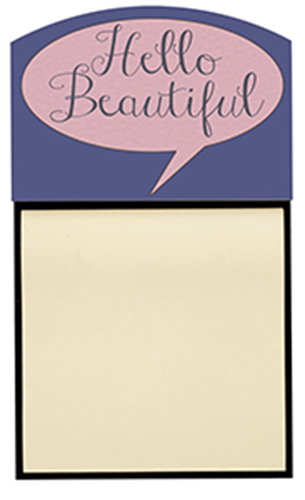 Add your own photo memory to your sticky note holder for a little flair at the home or office. After you've uploaded a photo, make sure to use the advanced settings to take advantage of the full customization options. Holds standard size sticky 3"x3" We use a unique decoration process that actually infuses your photos into the coating on this Executive Sticky Note Holder so you get a DURABLE and Vibrant Image for years to come!